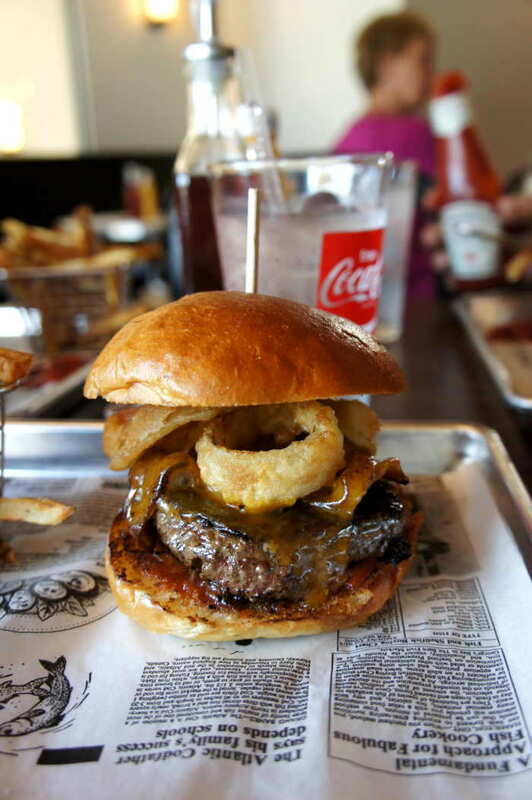 Allen Burger Venture (ABV) is a restaurant focused around delivering delicious burgers…and beer of course. It’s hard to not enjoy yourself picking from staples like the TWO (New York State Cheddar, Caraway & Horseradish Aioli with Au Jus Dipping) or the THREE (Carmelized “Ommegang” onions & Applewood Bacon with Porter Cheddar). ABV also speaks (loudly) to the more adventurous palate with choices like their Chick Pea Chole Burger, Colorado Lamb Burger, and Spanish Chorizo Burger to name a few. 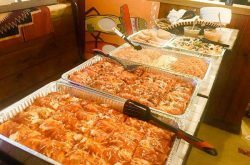 They pair everything with hand cut fries, craft beers, and fun side dishes too which is all we can really ask for. 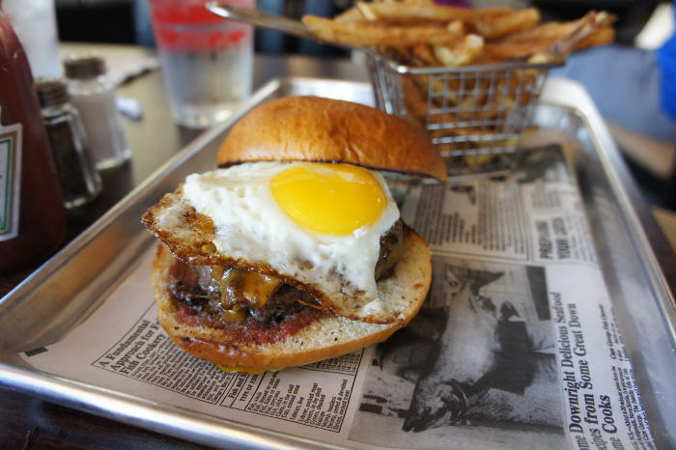 Burger at Big Ditch / Photo via Big Ditch Brewing Co. While Big Ditch Brewing Company’s fantastic craft beer can be found in taps across town, you have to travel to their downtown taproom to get a peek at their food menu. 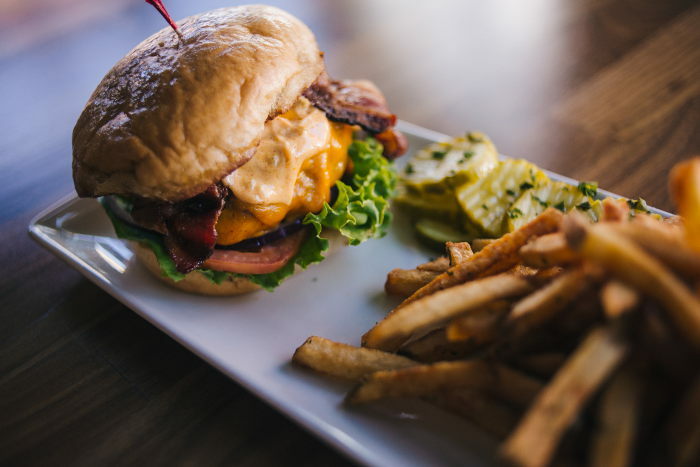 There’s a ton to choose from, but the Cheddar Bacon Burger equipped with sharp cheddar cheese, bacon, and spicy mayo and the Duck Burger with arugula, smoked gouda, and charred tomato ketchup – really stand out. If you’re feeling extra indulgent go ahead and pair your burger with a plate of Hayburner Wings and always -I repeat always -a pint of your favorite Big Ditch brew. When I first moved to Buffalo, Brennan’s was a regular stop with my co-ed sports teammates. While we weren’t always victorious in our kickball or football games, Brennan’s never disappointed, which is all that really matters anyhow. Their Air Shatz Burger with BBQ Sauce, peameal bacon, cheddar cheese, and an onion ring on a weck roll and the Pacific Beach Burger with avocado, pepper jack cheese, chipotle onions, and chipotle mayo more than do the trick. The burgers here come with regular or sweet potato fries and you can add 5 wings for $6. Chris’ is definitely more of a sandwich joint than a burger joint and a popular lunch time destination for those who find themselves downtown during lunchtime. Still, during the grueling research for this piece Chris’ turkey burger kept coming up in conversation. It comes with lettuce, tomato, and a choice of plain, Cajun, or Jamaican Jerk seasoning all on a toasted roll. It’s different but solid and deserves a spot on this list for an option between mid-day meetings as they close at 3pm. The newly reopened Doc Sullivan’s in South Buffalo is widely regarded for its pub food. 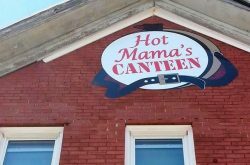 The restaurant has large, delicious burgers on the menu that are worth a visit any day of the week. 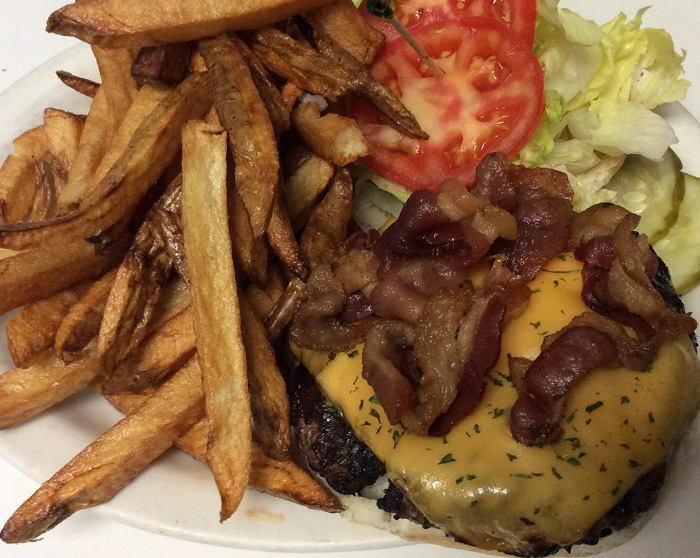 Stop by on a Wednesday and these big burgers are just $5 for burger night. Fries can be added for just $1 more. If you find a better way to celebrate hump day you let us know. The Griffon Gastropub is celebrated for boasting 150 beers on tap across its Niagara Falls and Clarence locations, but it’s equally respected for its menu. When it comes to burgers, The Griffon offers a Surf N’ Turf Burger – a pan-fried lobster and crab cake, served on top of their custom blended burger with spicy red pepper aioli. 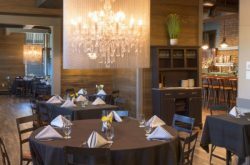 They also offer a Wild Game Burger – the wild game meat changes based on availability – and a Jalapeño Cream Cheese Burger with spicy jalapeño cream cheese and a whole, fresh jalapeño atop a delectable burger. It sounds like it might burn your face off but probably in a good way. Juicy Burger Bar’s website identifies burgers as the ultimate comfort food – and their menu works to deliver on that idea. 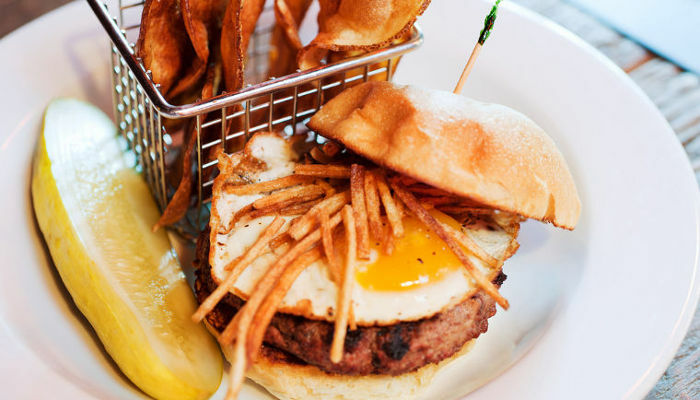 Guests at Juicy can enjoy a full menu dedicated to burgers including the Hogzilla with smoked bacon, cheddar, hard cider BBQ, and fried onions or the Yolks on You with cheddar, smoked bacon, and a farm fresh egg. The bold might go with the Grilled-Cheese Burger, a burger stuffed between two halves of a grilled sourdough provolone & cheddar grilled cheese sandwich, which is delicious and also not for the faint at heart. 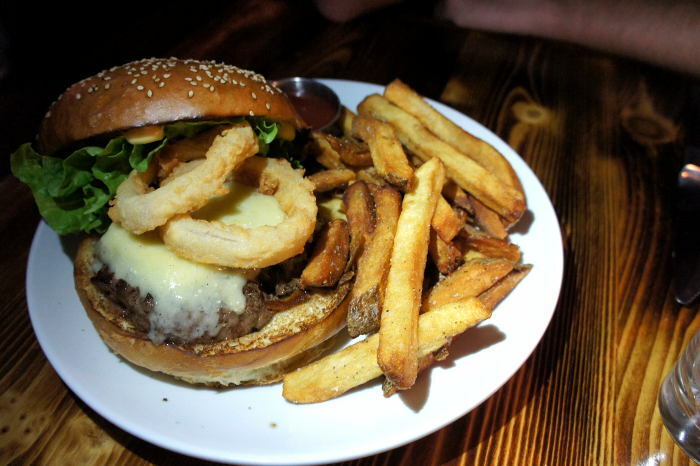 A newer restaurant in town, Marble & Rye offers several high dining options as well as a focus on specialty burgers. Choices include a cheeseburger with lettuce, onion, special sauce, and cheddar, an egg burger with lettuce, special sauce, and sous vide egg and the M+R burger which changes regularly. It’s a great place to pair a burger with glass of your favorite whiskey, scotch, wine, or one of their craft cocktails. 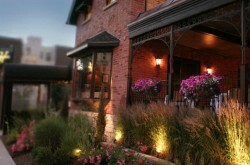 The Roycroft Inn has built big lunch and dinner menus, and on both, the burgers are always leading items. 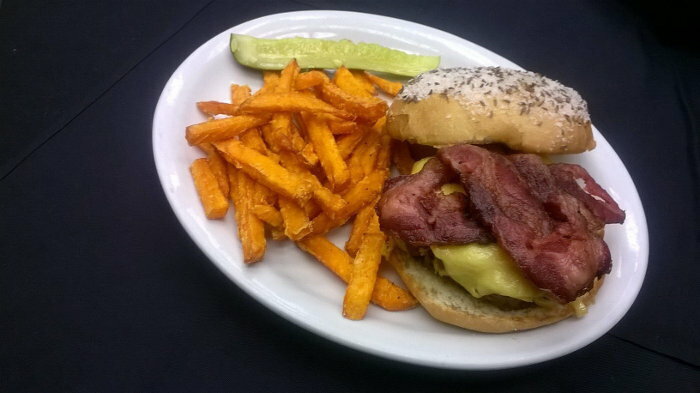 It’s hard not to like the sound of a Steak Burger NY sharp cheddar and north country applewood smoked bacon on a brioche roll. 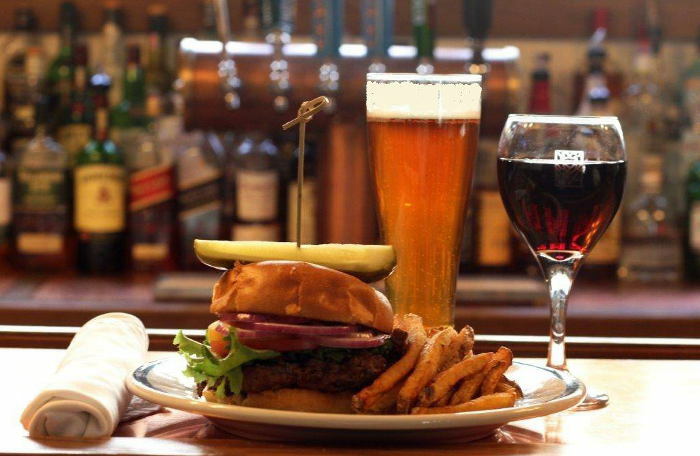 Tuesdays at the Roycroft Inn are “Beer-Wine & Burger Night” where $10 gets you a pint of beer or glass of wine and a delicious burger served with hand cut fries. You literally can’t go wrong. There’s so much to like about SoHo Burger Bar’s burger menu – from the Red Hot Chili Burger with aged cheddar, roasted tomato, and jalapeño compote to the Steak and Eggs topped with a fried egg, herb hollandais, and shoe string fries, and even the Maytag Stuffed Burger stuffed with maytag blue cheese and topped with applewood smoked bacon. There’s a lot to choose from at SoHo and every burger comes on a signature bun with chips and a pickle. Vizzi’s in Kenmore is another gem of a burger joint we learned more about during our recent research. 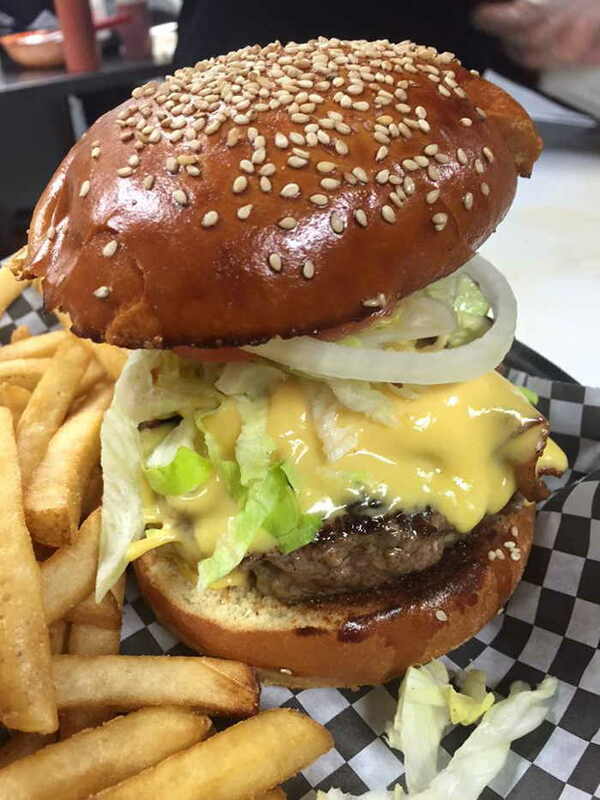 Boasting award-winning burgers on its menu, Vizzi’s is home to the Monster Burger, Cheeseburgers, Cajun Burgers, a Greek Burger with Feta Cheese, and a Mushroom Burger. 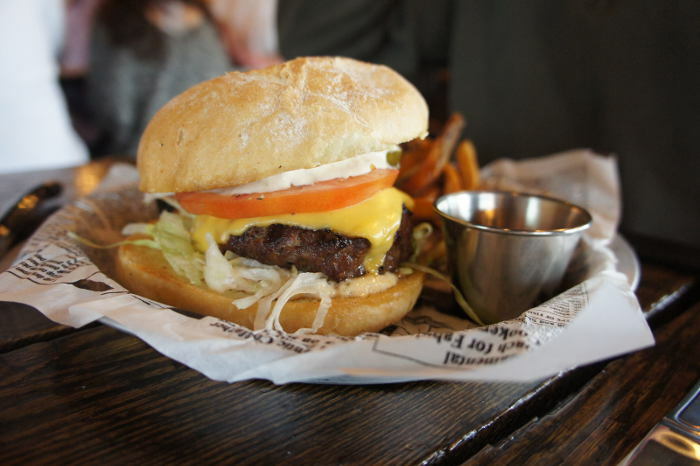 Everything comes with fries and those who dine in can enjoy the casual atmosphere and be enticed by the delicious smells that fill this burger joint. 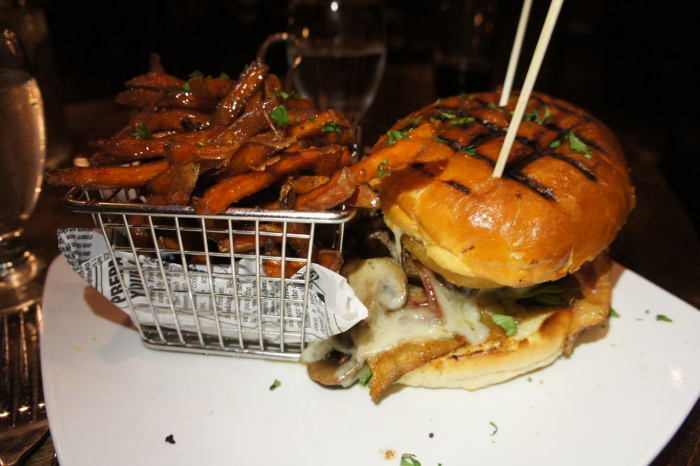 The Wellington Pub wants you to be as adventurous as you’d like with your burgers. Every Tuesday night is Crazy Burger Night where the staff offers a crazy burger up for eats and guests are encouraged to help design a new crazy burger. Even if you visit on non-CBNs, The Wellington Pub has the staples covered as well as unique burgers like Top of the Morning topped with 3 strips of bacon, Canadian bacon, grilled ham, and fried egg finished with NY Sharp Cheddar (!!) or the Cajun 5 Alarm Burger grilled with Cajun spices, John’s Hot Sauce, sautéed hot peppers and onions, and hot pepper jack cheese.